distribute pharmaceutical and toiletry products. 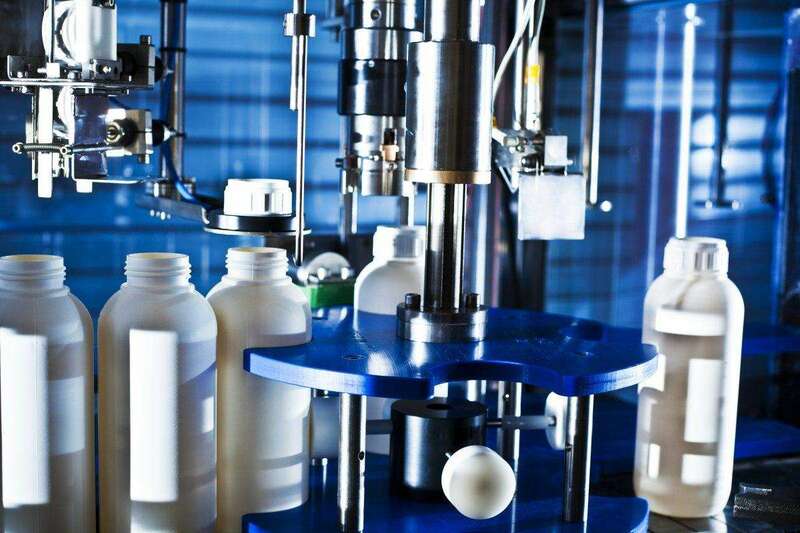 The machine handles 16 types and sizes of container and a number of caps including screw cap, pump pack and press on lids. Containers can be automatically fed or hand fed onto the conveyor dependent on the type. The Mastercap single head inline indexing capping machine incorporates a host of innovative features, providing a versatile, reliable capping operation at a maximum speed of up to 60 per minute, dependent on product, container and cap type. The capper is equipped with an elevator cap feeder and with 304 stainless steel cladding as standard. Changeovers between cap styles and sizes are made quick and easy by innovative features including, push button height adjustment of capping heads, colour coded change parts and programmable control systems. All of these features allow the end user to minimize downtime, effectively allowing for greater production outputs.